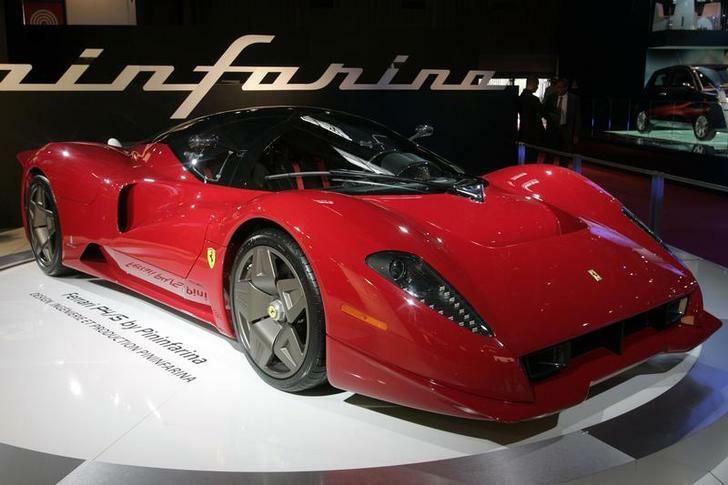 The Ferrari P4/5, designed by Pininfarina, is displayed on media day at the Paris Mondial de l'Automobile in Paris. Italian luxury carmaker Ferrari announced on Jan. 31 a 6 percent rise in fourth-quarter core earnings. Adjusted EBITDA in the three months to December rose to 274 million euros, in line with analysts estimates, according to I/B/E/S data from Refinitiv. Sales were up 1 percent at 854 million euros. The group said it was targeting adjusted earnings per share of between 3.50 euros and 3.70 euros in 2019, based on diluted number of shares. This surpasses a target of 3.40 euros a share set by the company in September for 2020. Chief Executive Louis Camilleri said the company guidance on 2020 was on the "low side". Ferrari shares were up 12 percent in New York at 1830 GMT.